Instax has announced the launch of its Cyber Monday deals, available online and in-store for major retailers. 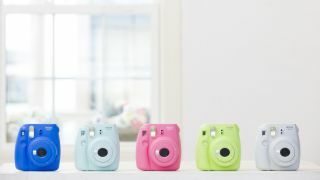 The instant camera and film company will have a fantastic range of offers on key products, available for five weeks or until stocks last, from selected retailers including Currys PC World, Urban Outfitters, Jessops, Argos, John Lewis and Amazon. Deals include savings of up to £35 across cameras from the instax range, including the Mini 9 camera, the popular SQUARE SQ6 camera and the SHARE Smartphone SP-2 Printer. Instax is also offering about a third off their Mini 9 and SQUARE SQ6 Accessory Kits, when purchased with any instax camera. These include colour-matching extras and add-ons, such as dedicated camera cases, photo frames and photo albums.